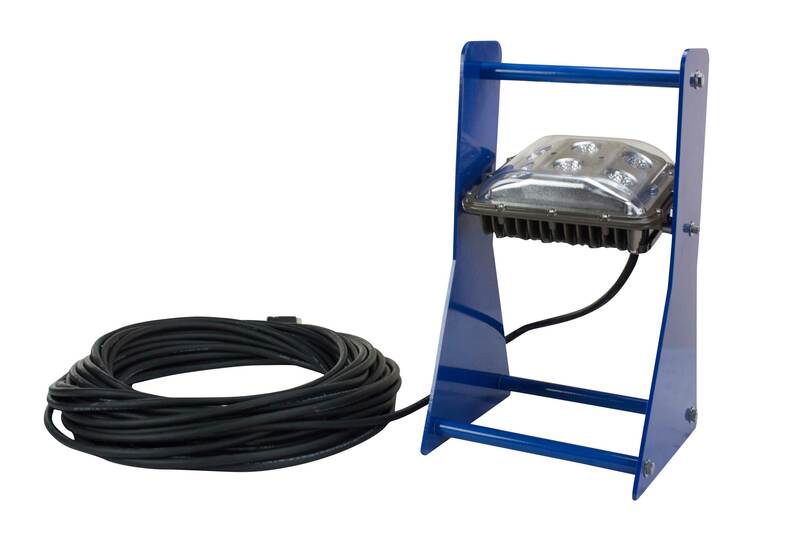 Larson Electronics, a leading manufacturer and distributor of industrial lighting solutions, announces the release of a 60 watt color changing LED work light mounted to a portable frame fabricated from non-sparking aluminum. 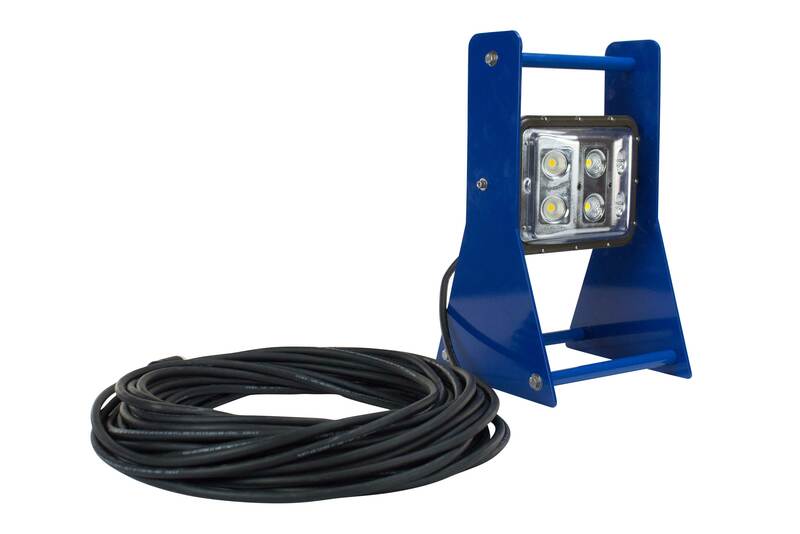 The WAL-PM-WP60-RGB portable LED work light from Larson Electronics provides a 5,400 lumen floodlight beam and is a direct replacement for hot and fragile 500 watt halogen work lights. 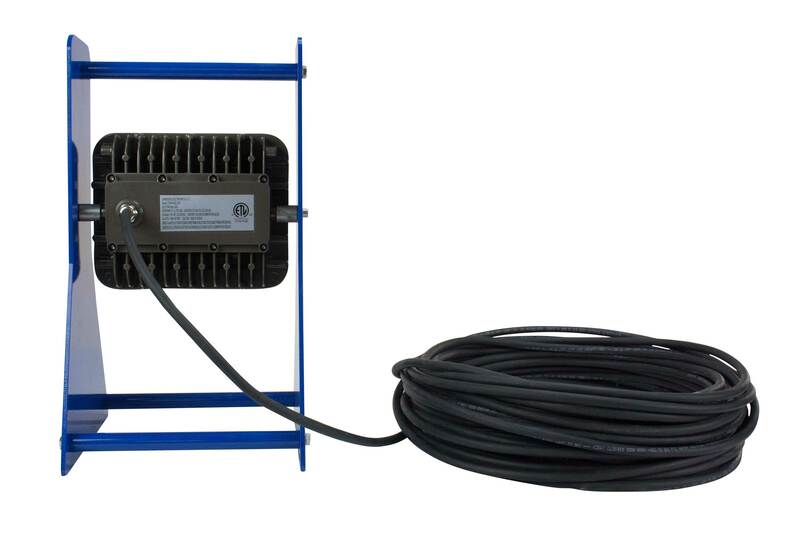 This 60 watt LED lamp head consists of six 12.5 watt LEDs concealed within a waterproof aluminum housing powder coated for durability and corrosion resistance. The light assembly is constructed of three boards that help provide a wider spread of light, with a center board and two 45-degree angled boards. The LED boards and reflectors are protected by a scratch and shatter resistant polycarbonate lens attached to the aluminum housing. The work light carries an IP68 waterproof rating, is vapor proof, and built to resist the damaging effects of an outdoor environment. This color changing LED flood light is an RGB unit, meaning it can produce red, green and blue light of varying levels and intensity. Operators can scroll through various colors by using the included handheld remote. The light is also dimmable, and can be set to operate in different modes including steady burn, flash, strobe, color fade, and smooth fade. This floodlight has an internal memory and will remember the last set configuration when power is cut. The included remote control has an operating range of 25 feet. 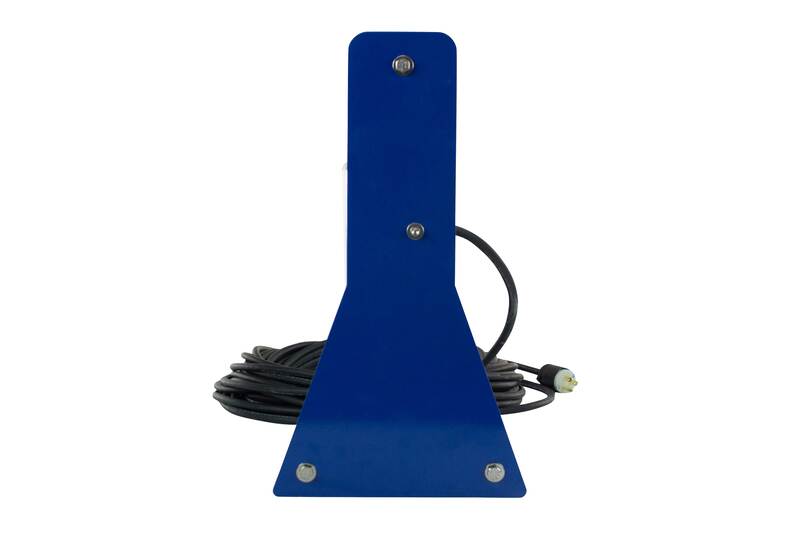 The LED lamp is mounted within an A-frame aluminum base powder coated for corrosion resistance. The lamp is easily adjusted up or down 90 degrees and locks into position by simply loosening two screws. This light is constructed with 100 feet of SOOW cord terminated in an industrial grade cord cap to provide ample length for use throughout the work space. This unit operates on current ranging from 100 to 277 volts AC and has the ability to sense and adjust the input current, providing protection against voltage spikes and drops that can occur in electrical systems. 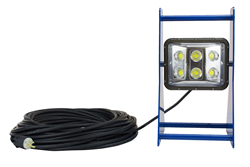 Larson Electronics produces an extensive line of LED light towers, portable distributions, explosion proof lights for hazardous locations, portable work lights and industrial grade LED area lights. You can view Larson Electronics’ entire catalog of lights by visiting them on the web at Larsonelectronics.com. You can call 1-800-369-6671 to learn more about their products or call 1-214-616-6180 for international inquiries.